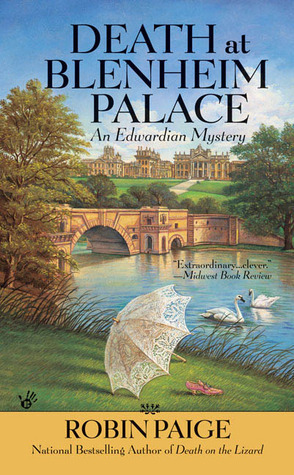 In this book Charles and Kate Sheridan are visiting the Duke of Marlborough, and they start investigating the disappearance of a housemaid. But the other guests are up to all sorts of hijinks, and it’s difficult to sort out the clues from the red herrings. The plot is a little thin and sometimes obvious, and every tiny detail is drawn out and repeated again and again. I do like the characters, and there is some good drama. I mostly enjoy reading about Charles and Kate doing their sleuthing, because they make such a sweet couple and a good team.